Teflon Coated Fabric Tapes D17-3 series is a common suitable product for many industries, the thickness is 0.12mm with high temperature resistance property. The flexibility character of the substrate leads the Silicone Adhesive PTFE Tape product into the higher application. The silicon backing adhesive system can be applied in lower or higher temperature and easy fit. After using, also no residual adhesive. 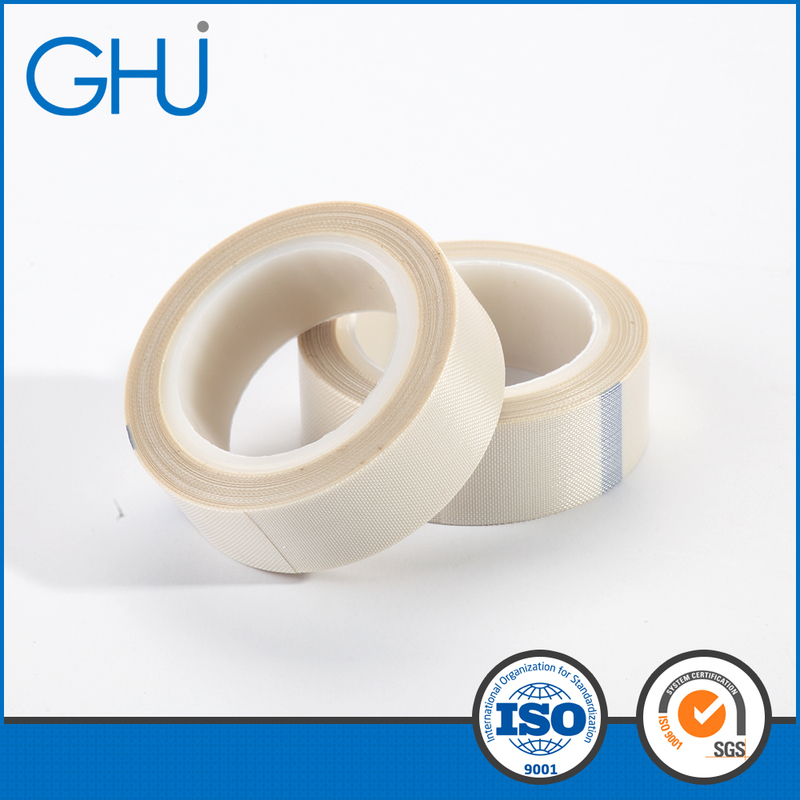 This Adhesive Tape can be applied in different temperature(-70℃~260℃) and has the weather resistance and ageing resistance etc properties. Proved by practical application, if applied in 250℃ high temperature condition and placed consecutively over 200 days, the strength and weight will all stay at the same. Looking for ideal High Pressure Sensitive Adhesive Tape Manufacturer & supplier ? We have a wide selection at great prices to help you get creative. 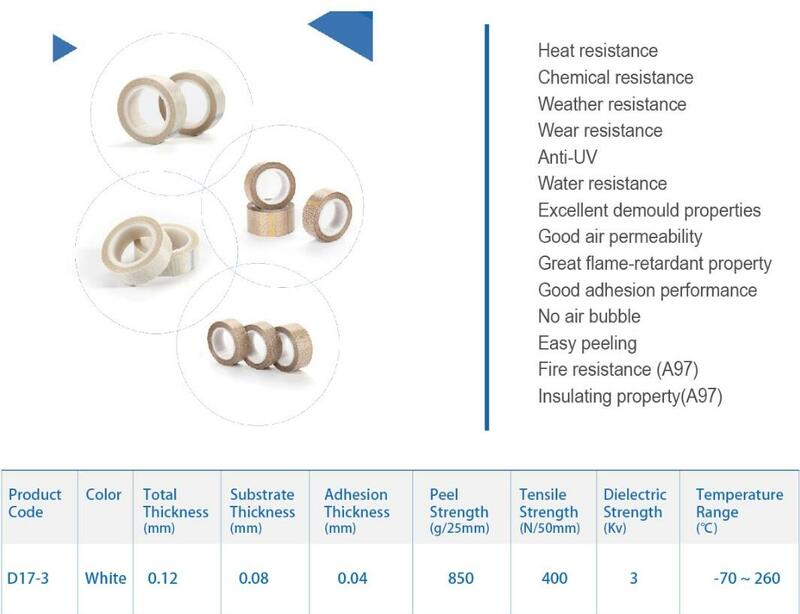 All the Teflon Tape Temperature Resistance are quality guaranteed. We are China Origin Factory of Waterproof Adhesive Tape. If you have any question, please feel free to contact us.